For me, being part of a club during my school days was of great importance. Having barely taken a bite of a sandwich during my lunch hour I’d rush off to various clubs, be it choir, hockey, rounders or.. ahem.. Geography Club. As you’ve probably guessed, I wasn’t the coolest kid in school, but being part of a club with like minded peers, and having the opportunity to chat about subjects that interested me was something I really valued. As an adult, this hasn’t changed. But instead it’s usually my evenings that I spend indulging in my activities. 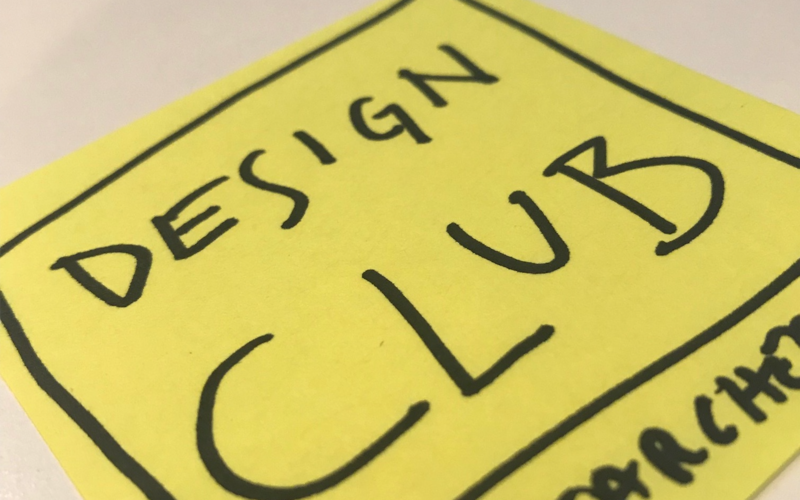 That was until the idea of having our very own Unboxed Design Club came about, where designers and those who work in the field can come together to discuss different areas of design and what is currently of interest to them. 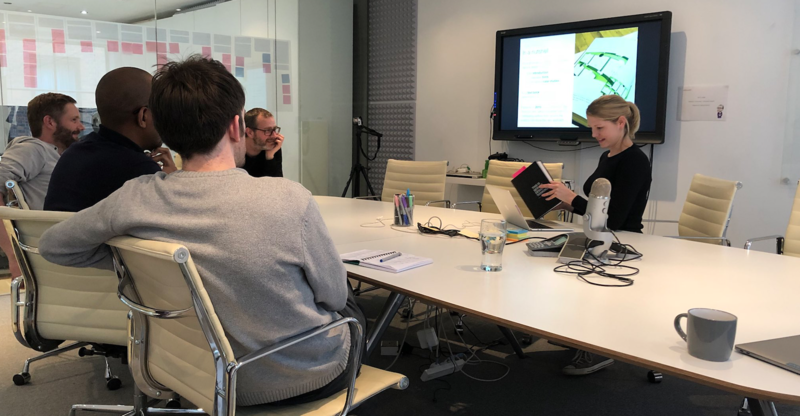 To kick off our first official meeting I am taking the lead with a presentation about my experience of reading ‘This is Service Design Thinking’ by Marc Stickdorn and Jakob Schneider. Written in 2010, the book is marketed as an introduction to the emerging field of service design for beginners, but also a useful resource for experienced design professionals. And that’s exactly what it is. Not only does it provide a comprehensive overview of what service design is about and how it has evolved, it is also a toolkit of key techniques that can be referred to and adapted, plus a range of case studies where they have been successfully applied. Eight years have passed since its release and as you would expect, it’s starting to show its age. So much has happened in that time, not only in terms of design thinking, but the technology platforms we use and our expectations as service users. However in my opinion, you cannot underestimate the importance of having a reference point that you can return to for inspiration as your experience grows and your own ideas evolve. This leads to some interesting conversation within the group around the importance of tools such as templates and reusable ideas. Do they provide a useful foundation in our organisation? Or do they make us too reliant and suppress our ability to think more strategically about how we can best solve design problems? “Tools are tools, you don’t start riding a bike by doing wheelies” one person replies. 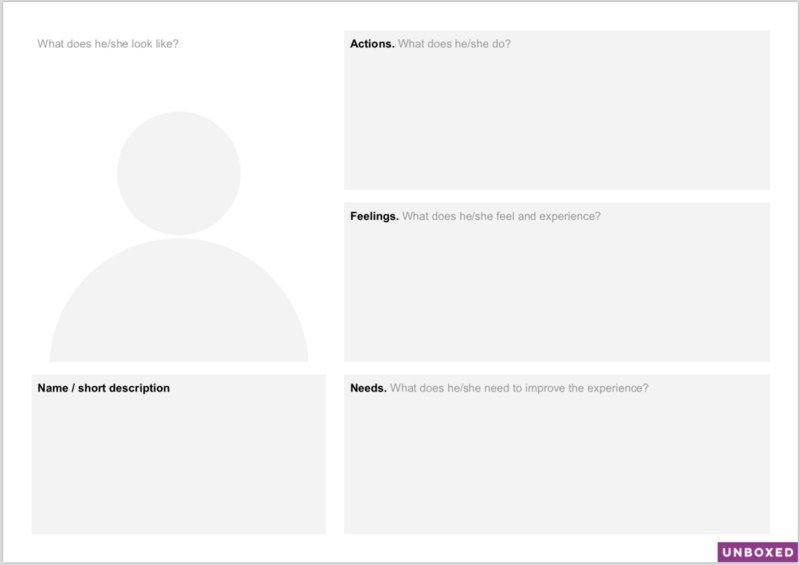 Templates for tasks such as personas and journey mapping can be an effective way to on-board newbies in the field and can give them the confidence to explore a design problem without having to worry about the tool needed to capture the information. Plus when you understand a technique well enough, you can bend and flex established methods to suit your needs. As with any good discussion, points for both side of the argument are made, but there is clearly an appetite to think a bit more about the tools that we use at Unboxed, the situations that we use them in, and whether there are any new techniques that we would like to incorporate into our work. As Design Club draws to a close, plans for the next meeting are put into place. It’s clearly been a success. Hmmm.. I wonder if anyone would fancy being part of an Unboxed choir?